St. Martin’s Press, 2018. 272 pages. $26.99/hardcover; $16.99/paperback (available June 2019); $13.99/eBook. The Sun Does Shine is the true story of an innocent black man’s unjust conviction, his despair on Alabama’s death row, and his practice of peacemaking behind bars. In “The Death Squad” chapter, Anthony Ray Hinton’s anguish is palpable as he describes men in chains being walked past his cell to the electric chair. He leads inmates to bang on the bars of their cells during electrocutions, raising a holy ruckus of accompaniment and protest. Hinton eased racial grudges and grievances by aiding KKK and African American inmates alike. “A book club will help things stay more peaceful,” he told the warden, pointing out that reading books would be a good way for the men to quietly spend time and focus on something other than the negative aspects of life on death row. He also added, “I do think it will help [the guards] have an easier time doing their jobs.” His resourcefulness led to the first death row book club. In chapters titled “Love Is a Foreign Language” and “Go Tell It on the Mountain,” Hinton reveals which authors forged community between black and white convicts. Statistically, one out of every ten men on this list is innocent.… Read these names. Know their stories.… The moral arc of the universe needs people to support it as it bends.… Read the names out loud. After every tenth name, say, “Innocent.” … The death penalty is broken, and you are either part of the Death Squad or you are banging on the bars. Choose. He chose a provocative way to conclude, but I am pained that, for some reason, the women on death row in Central California Women’s Facility and other facilities are not acknowledged. The Sun Does Shine may deepen the commitment of Friends working for prison reform, offer fresh insights to Friends conducting Alternatives to Violence Project workshops with inmates, and perhaps inspire new AVP volunteers. 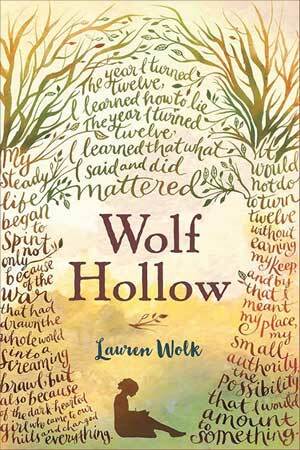 In Wolf Hollow, Lauren Wolk introduces a girl who becomes brave and good in the face of something terrible. In 1943, Annabelle lives among people who love her in the hills of rural Pennsylvania, a place she loves. She enjoys a steady life until a dark-hearted girl comes to her hills and changes everything. After Betty punches her and threatens greater hurts, Annabelle finds ways to protect herself and her little brothers by seeking inner guidance. Toby, a scarred veteran of the first war, lives in the woods nearby. He looks odd and rarely speaks, but Annabelle senses his kindness. She tries to protect Toby from the lying girl who manipulates people into blaming him for the cruelties she has inflicted. Tensions mount when Betty disappears and Toby, suspected of kidnapping her, takes off. As men and dogs search for the missing girl and man, Annabelle searches her conscience and finds courage to speak the truth, a young voice calling for justice. Lauren Wolk is an award-winning poet and author of the adult novel Those Who Favor Fire. In Wolf Hollow she writes an indelible account of a reflective child who stands strong on behalf of others. Although this compelling story of moral complexity and quiet heroism is marketed to third through seventh graders, I commend it to Friends of all ages, particularly librarians, First Day teachers, parents and grandparents. Judith Favor also lives in a place she loves, among people at Claremont Monthly Meeting who love her. She looks forward to reading Wolf Hollow to her grandkids and, some fine day, to her first great-grandchild. I yearn for writing that is transformational, and this beautifully crafted novel met my longing. Colum McCann braids together the passions of publicly acclaimed men – abolitionist former slave Frederick Douglass, WW1 pilots Jack Alcock and Teddy Brown and peacemaker Senator George Mitchell—with the private stories of feisty fictional women. McCann brings his characters to life through exquisite prose, gifting the reader with story lines that arc across the centuries and crisscross the Atlantic, interweaving Irish and American views and values. Memorable scenes pulse with Quaker testimonies. In 1845 Irish maid Lily Duggan crosses paths with Frederick Douglass whose integrity and commitment to equality inspire her to escape servitude, sail to America and nurse wounded soldiers on a Civil War battlefield. The novel follows her daughter Emily and granddaughter Lottie whose journeys mirror the progress and shape of history. In 1919 they are influenced by two aviators who set course for Ireland, attempting a nonstop trans-Atlantic flight in a bomber they modified for peaceful means, a flight designed to heal the wounds of the Great War. In 1998 Lottie encounters Senator George Mitchell in Belfast as he labors to negotiate the historic Good Friday Peace Accords. Mitchell granted the author access to his inner reflections, making para bellum a profoundly moving chapter, worthy of repeated readings. Mitchell’s inner light shines through McCann’s poignant portrait of the contemporary peacemaker who embodies simplicity, equality and integrity under intense international public pressure. TransAtlantic is not a quick read. 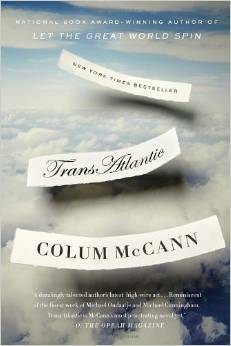 McCann’s truthful, tender pages invite pauses for deep thinking, remembering past peacemakers and imagining a more simple, just and equitable future. There is so much goodwill, humor and pure life force in every chapter that this book will lift the spirit of Friends and meet the hunger for transformational fiction. 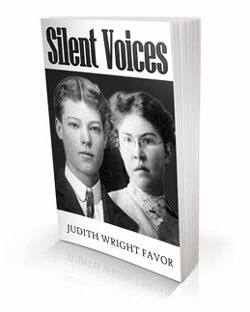 Judith Favor is a member of Claremont Friends Meeting in Southern California. 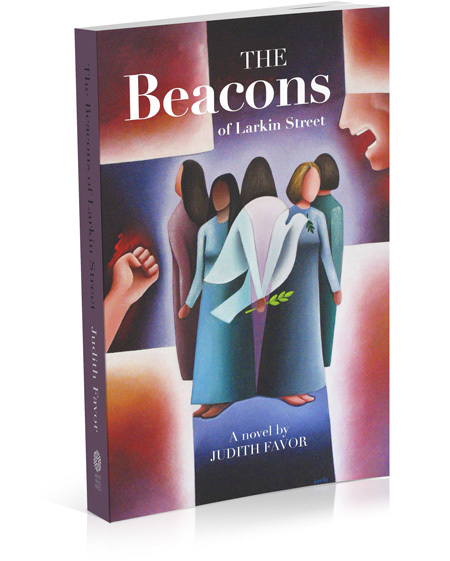 Literary fiction seeded with Friends’ testimonies feeds her hungry soul.